build a rewarding, home based career. to build your own VA agency. Get Ahead VA is an award-winning national virtual agency. Their entire team of nearly 40 virtual assistants all work flexibly and remotely, many balancing work and family life. Get Ahead VA delivers marketing and business support services to over 100 clients across the UK. 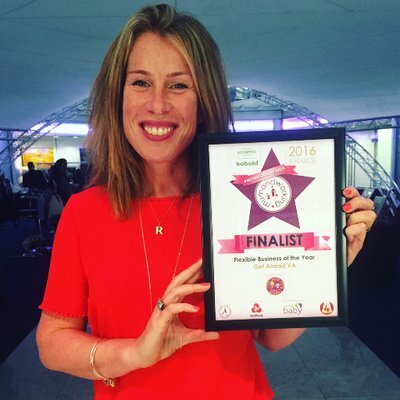 Founded in 2010, the business has won awards for flexible working and been selected as one of the best home businesses in the UK. In Part 1: Rebecca talks about her own experience, what makes a good VA – and where to find out more. Hi Rebecca. Do you work from home or flexibly yourself? Yes, ever since I started my business in 2010, I’ve worked flexibly and from home. After a career as a corporate buyer in London for retail giants Superdrug and Sainsburys, I was looking for a more flexible employment solution that would allow me to work around my three daughters, once they started school. Setting up my own business from home felt like the best option. Having investigated various business options, I felt that becoming a virtual assistant was the right choice for me. I could see how the economic landscape was changing, with more and more demand for flexible, virtual services. Setting up as a VA was attractive, as start-up costs were low. I attended a one-day course, bought a second hand laptop and was ready to go. It also suited my skills as I have always loved networking, which is a big part of my role now. What sort of work do VAs do? Virtual assistant is a broad term. It covers any business assistance that is delivered virtually. In our business that means marketing and business services ranging from social media management, PR and blogging right through to administration, telephone answering and even bookkeeping and business development. Whatever your skills, if it can be delivered virtually then you can become a virtual assistant and start helping clients both locally and nationally. A good virtual assistant is an excellent communicator. As you usually work remotely, you need to be able to build rapport with clients and contacts through telephone calls, email or social media. You must be able to communicate effectively using these channels. Once work has been agreed, delivering exceptional levels of service is vital. You must be consistent and accountable – which helps your clients to trust you. Getting the job done and done well really matters. At Get Ahead VA, customers come back to us and recommend us because of the exceptional service we provide and because we deliver. Don’t be afraid to show some personality – of course, some clients will be quite functional and want little interaction. But for others, your personality can help you stand out from the crowd and ensure clients come back time and time again. At Get Ahead VA we are a vibrant team and we are always looking for ways to help our clients. Even if we can’t help ourselves, we will always try to find someone who can. We try and become partners with our clients – not just suppliers. What are the benefits of becoming a virtual assistant? Our virtual assistants say that what they love is the flexibility. They are able to use the significant skills they have spent decades gaining to make a difference to the small businesses who are the lifeblood of the economy. At the same time, they can also be there for school assemblies, netball matches and any other demands of family life. Why have you chosen to build up a team of virtual assistants? Being a standalone virtual assistant can work well for some people. But for others it can be lonely as they miss feeling part of something bigger. That’s why I decided to build a team. I always knew I wanted to offer flexible work to other people just like me. Our virtual assistants say they like feeling that they are part of a wider group where we can share experiences and learn from each other. For our clients, being able to provide a team of virtual assistants means that they can access a wide range of marketing and support services from just one supplier. Where can people find out more or get started on their VA journey? 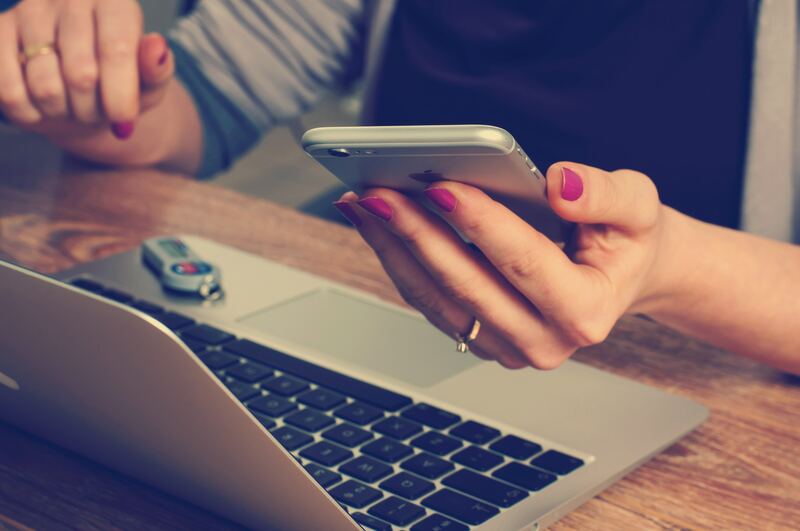 There are lots of helpful websites where you can find out more, such as the UK Association of Virtual Assistants, and the Society of Virtual Assistants. VACT offer training and coaching to help you set up as a VA. You can also attend events such as Office* which is the UK’s largest event dedicated to PAs, EAs, VAs and Office Managers. The next event takes place in London on 26th & 27th February 2019. Or give me a call – I am always happy to chat and share my experience. A very big thank you to Rebecca Newenham, Founder and Director of Get Ahead VA, for sharing her expertise on how to get started and the benefits of a VA career. Are are already working as a VA? In Part Two, Rebecca shares ideas and tips on how to grow your business by building your own VA agency. See more about Get Ahead VA on myworkhive, including their current jobs for virtual assistants.